This season will be a strong one for Arizona Coyotes forward, Clayton Keller. While many players blossom in their freshman year and have a slow start in their sophomore campaign, I doubt that the same will happen for Keller. Last season, Keller of the Arizona Coyotes had an outstanding rookie season. He played on the top offensive line and played as a winger with centre, Derek Stepan and right winger, Richard Panik on his side. In 82 games played last season, Keller registered 23 goals, 42 assists, 6 power-play goals, 14 power-play assists and a 10.8 shooting percentage. Unfortunately, Keller wasn’t able to grab the Calder Trophy at the end of the day. 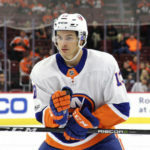 Mathew Barzal of the New York Islanders had a much better season than Keller and truly deserves the Calder Trophy. This year, he has new line-mates. Per DailyFaceoff.com, Keller is no longer playing on the wing and instead he’ll be centering the second line. To begin the 2018-19 regular season, he’ll have Brendan Perlini on his left and Vince Hinostroza on his right side. With Perlini and Hinostroza at his side, Keller will have a big season. If you look at how Perlini and Hinostroza performed in terms of scoring and assists rates per 60 min, you’ll be impressed. Last season, Hinostroza scored approximately 0.6 Goals/60 and posted 1.39 Total Assists/60. On the other hand, Perlini averaged 0.81 Goals/60 and 0.4 Total Assists/60. If you compare Hinostroza and Perlini’s rates to Stepan and Panik, you’ll see that Keller is much better off playing with his new line-mates. Hinostroza has a better Goals/60 and Assists/60 rate than Stepan. The only issue is that Perlini’s Goals/60 and Total Assists/60 rates aren’t as high as Panik, but I wouldn’t hold that against the Guildford, Great Britain native. Perlini had bounced around on different lines throughout last season, which couldn’t have been good for line chemistry. If the Coyotes stick to having Perlini play with Keller, I can see Perlini emerging as a star. Not only do I believe that his line-mates will have a significant impact on his game, but centremen typically show much more improvement in their second year of play. 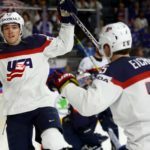 If you look at Auston Matthews of the Toronto Maple Leafs, Connor McDavid of the Edmonton Oilers and Jack Eichel of the Buffalo Sabres, you’ll see that the three all improved in their second season when comparing it to their first. It looks like Keller should be able to follow their footsteps and join the ranks as one of top centremen in the NHL. Josh TESSLER graduated from Clark University in 2014 with a Bachelors Degree in Communications and has a great deal of blogging and sports journalism experience. 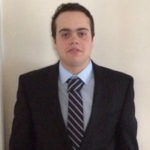 He is a frequent contributor with FanSided’s Editor in Leaf; by day, he’s a salesperson who has worked with some of the biggest technology companies across the globe and at night, he’s a hockey blogger and analyst.